Two recent Art Department graduates have had works accepted into national, juried exhibitions. Jocelyn Lechuga’s “El Santo: Hero of the Mexican People” was selected for “ARTistas,” an exhibition in the Moon Gallery at Berry College in Mt. Berry, Ga. The show opened March 19 and will run through April 5. Lechuga, who graduated from Missouri Southern State University in December 2018 with a degree in studio art, has made her Mexican heritage a focal point for her artwork. Folk stories, music and other areas of popular culture are blended into her artistic exploration. She decided to honor the late wrestler – whose nearly five-decade career included a successful series of films – in one of her screen print works. Lechuga says she was happy to learn of a national, juried exhibit that showcased the works of Latino artists and submitted “El Santo” for consideration in February. Less than a week after the submission deadline, she learned that it had been accepted. Frank Pishkur, chair of the Art Department at MSSU, says the body of work Lechuga created through her senior thesis research has a unified aesthetic and concept. Lydia Humphreys, also a December 2018 graduate, recently learned that two of her oil paintings will be featured in the Undergraduate Juried Exhibition at the Albrecht-Kemper Museum of Art in St. Joseph, Mo. 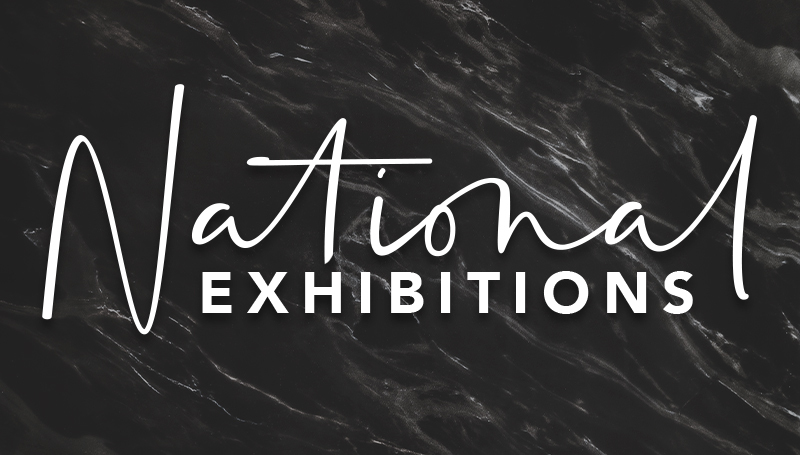 The exhibition, which will run April 13-June 2, was open to students enrolled in undergraduate programs across the nation during the 2018-19 academic year. Each of the subjects were captured on video while sharing their story, and a single frame was taken from the recording. The color purple is featured to represent the emotional scars and bruises obtained through their lives. Humphreys says she has been accepted to Wichita State University, where she will begin working toward her master’s in fine arts degree this fall. “I hope to one day own my own art gallery,” she says. An opening reception for the Undergraduate Juried Exhibition will be held from 4 to 7 p.m. Friday, April 12.